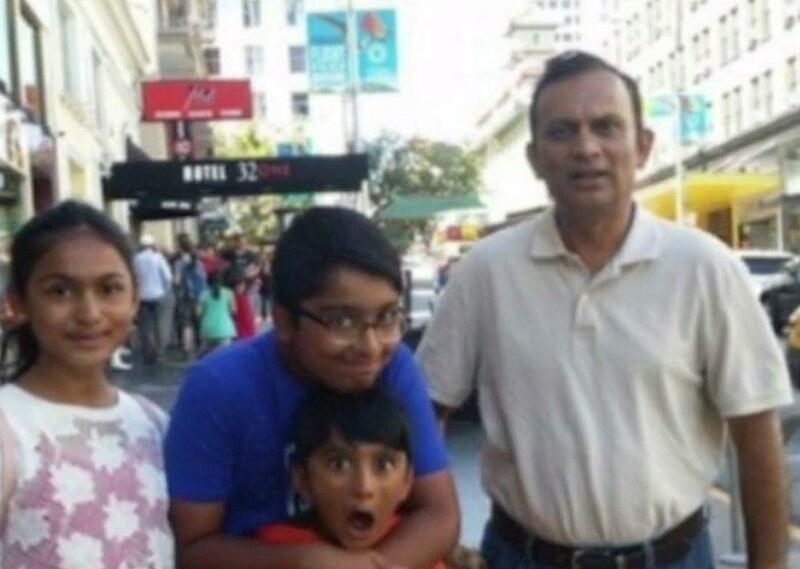 Syed Jamal and his three U.S.-born children. 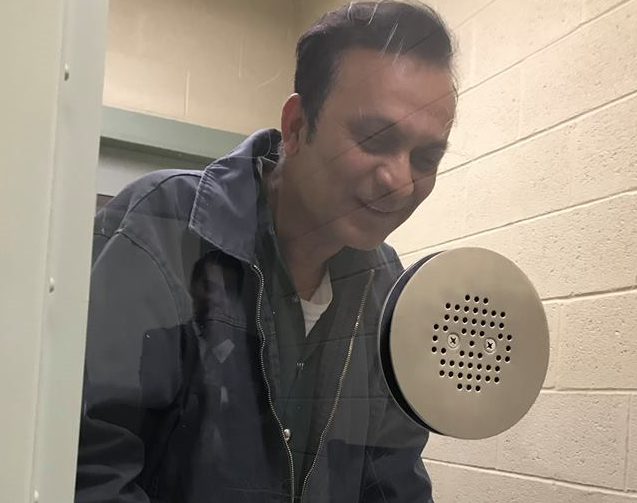 Syed Jamal, a Lawrence, Kansas, scientist arrested in January for overstaying his visa, will be able to present his case to an immigration judge, preventing his imminent deportation. Attorneys for Jamal, who was born in Bangladesh, announced Tuesday that the Board of Immigration Appeals ruled last week to send his case back to an immigration judge. “It gives us a chance to have our day in court,” said Alan Claus Anderson, Jamal’s neighbor and part of his legal team. It also blocks Jamal’s imminent deportation. Immigrations and Customs Enforcement agents arrested Jamal in front of his house in January. Friends, neighbors and community members rallied to fight his deportation. In February, Jamal was put on a flight back to Bangladesh but was removed from the plane in Hawaii after his attorneys secured an emergency court order. Anderson said the latest ruling means Jamal can continue to live with his family in Lawrence and work as an instructor at Donnelly College. “Due process has prevailed, and we've been able to get to the point we've been asking for all this time,” Anderson said. No date has been set for Jamal’s hearing, but Anderson does not expect the hearing will take place until 2019. Maria Carter is the news director for KCUR 89.3. Follow her on Twitter @mariacarter. 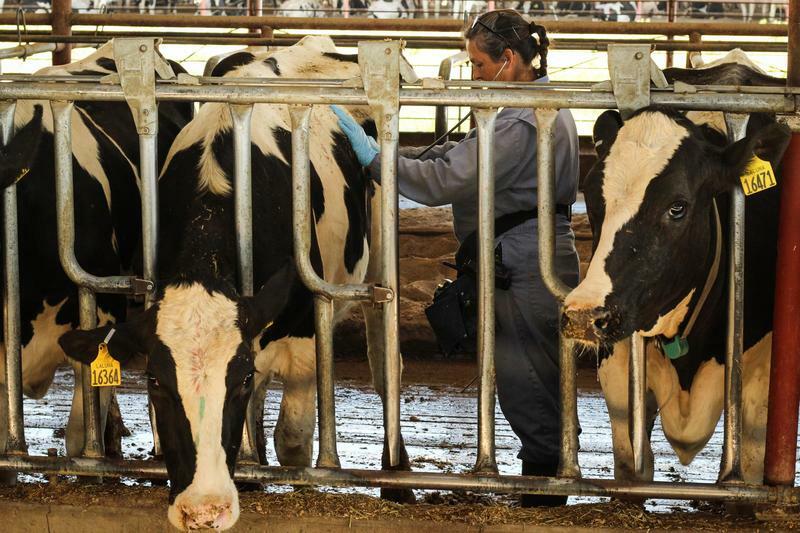 While learning to communicate with animals takes years of patience, Yanez said the true language barrier exists between the dairy workers and the veterinarians who rarely speak Spanish. Medical terminology can be confusing, and to avoid embarrassment, Yanez said she and other workers may feign comprehension. In a rare reprieve for an undocumented immigrant, Kansas City resident Maria Garcia-Mata no longer faces deportation to Mexico after a federal appeals court reversed a ruling by the Board of Immigration Appeals. 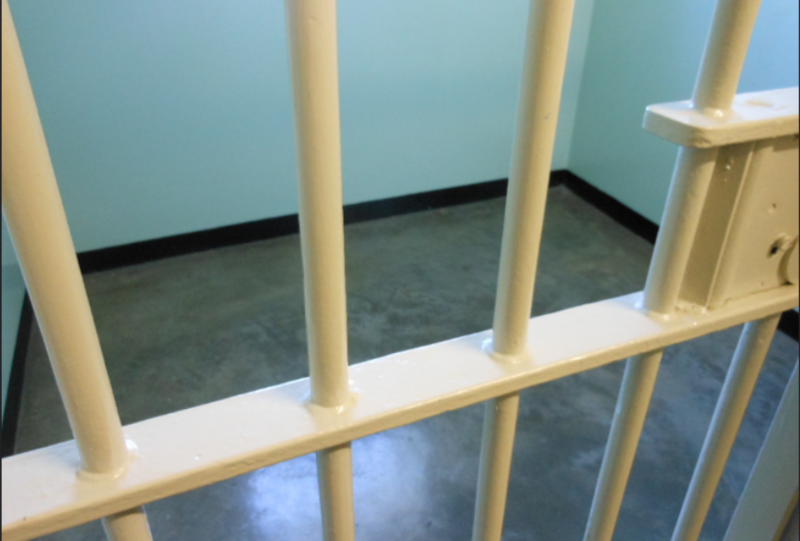 Garcia-Mata, a married mother of three who has lived in the area since she was eight years old, has been in a Kingston, Missouri, jail since she was detained by immigration authorities in 2015. The ruling is unusual, said Garci-Mata’s attorney, Matthew Hoppock. Of the 38,000 people in Missouri who wound up in immigration court since 2002, 55 percent did not have lawyers. Kansas saw less than half that number of people in immigration court, but similarly, just over half of those immigrants went without lawyers.